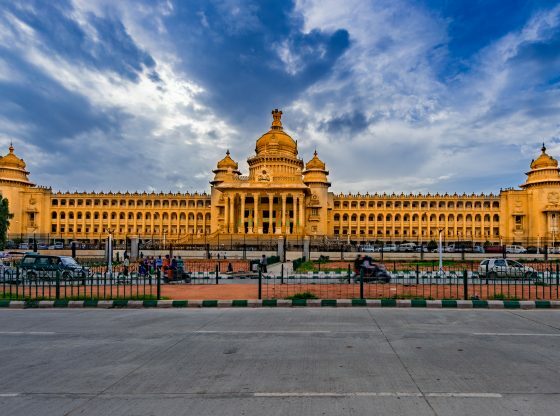 The recently concluded Karnataka state election in India, with its drawn-out epilogue of government formation, provides insights into the emerging contours of political competition in India as the country braces itself for the run-up to the 2019 general elections. After an election in which no party emerged with an outright majority, a post-election tie-up in Karnataka has given the hitherto incumbent (Congress Party) and the main regional party in the state (the Janata Dal (Secular)) the numbers to stake a claim together to government formation. The BJP failed to engineer the defections from either party that would have been necessary for it to cobble together the numbers to form a government based on its position as the single largest party. Siddaramaiah fused the symbolism of regional pride (including a demand for a state flag, and respect for the Kannada language) with brewing discontent among richer southern states (all ruled by non-BJP parties) over signals that the terms of fiscal federalism may turn against them to favour poorer, more populous (and now mostly BJP-ruled) northern states. The spectacle of the Congress and JD (S) sequestering their elected representatives in luxury resorts outside Karnataka to prevent them from succumbing to the BJP’s blandishments inspired little confidence in the strength of the alliance between these two parties that had fought the election against each other. However, the Congress-JD(S) post-election alliance has received a chorus of support from regional parties in other states who see it as laying the foundations for a non-BJP front ahead of the 2019 elections. Mamata Banerjee, West Bengal’s Chief Minister, tweeted that ‘If Congress had gone into an alliance with the JD (S) [before the election], the result would have been different. Very different.’ In the major northern state of Uttar Pradesh, the two main regional parties – Samajwadi Party and BSP – have already been working together against the BJP in recent months. The JD (S) has pledged to use the Karnataka result to bring together regional parties to unite ‘secular forces’ against the BJP. A host of opposition party leaders including BSP leader Mayawati, Samajwadi Party leader Akhilesh Yadav, Delhi Chief Minister Arvind Kejriwal, Andhra Pradesh Chief Minister Chandrababu Naidu, CPI(M) leader Sitaram Yechury, West Bengal Chief Minister Mamata Banerjee, as well as senior Congress Party leaders Sonia and Rahul Gandhi attended the swearing-in ceremony of the new Chief Minister, HD Kumaraswamy. One of the interesting features of the Karnataka election campaign and its aftermath has therefore been its potential significance in defining the terms of government/opposition competition at the state and all-India level in the run up to 2019. However it is not only the dynamics of coalition that is significant in this respect, but the interplay between the regional and national political arenas. Even though outgoing Chief Minister Siddaramaiah’s election campaign did not win him re-election (the Congress won 78 seats in the assembly, compared to the BJP’s 104 and JD (S)’s 37), the terrain on which he sought to contest the election was interesting. He sought to pit the interests of a proud Kannadiga subnational identity against the Hindu nationalist platform of the BJP. There was a personal dimension to this, positioning Siddaramaiah as a strong regional leader against the BJP’s national leader Narendra Modi. But by attempting to focus voters on their regional interests as distinct from the national appeal of the BJP, Siddaramaiah also sought to set the terms of the election battle to the disadvantage of the BJP. This subnationalist pitch, calling for ‘greater federal autonomy and recognition of regional identity’, was articulated in a Facebook post two months before the election. In this, Siddaramaiah fused the symbolism of regional pride (including a demand for a state flag, and respect for the Kannada language) with brewing discontent among richer southern states (all ruled by non-BJP parties) over signals that the terms of fiscal federalism may turn against them to favour poorer, more populous (and now mostly BJP-ruled) northern states. The opposition campaign in 2019 may draw from this strategy, by centring itself locally state by state, as well as using a discourse of secularism and a critique of centre-state relations to encourage inter-state coalition. The region vs nation narrative that emerged as a theme in Karnataka reflects a competition between regional and national players that resembles what political scientist Edward Gibson has described (in the context of democratisation) as a process of ‘boundary control’. Regional leaders prefer to keep political debate localised in order to prevent their local opponents benefiting from access to national actors or resources. While national leaders seek to nationalise the terms of debate. Since the BJP has achieved a position of national pre-eminence, it has been more able to rely on national themes and its national leadership to compete against regional actors. It has also been able to pick up small regional allies by offering them access to national resources, and to chip away at the position of established regional players. It is also keen to streamline elections to introduce simultaneous elections across all levels of government which would disrupt the separate timetables for individual state and general elections that have existed since the 1970s. These nationalising trends have posed a challenge for the non-BJP opposition which does not have a strong national face, especially given the weakness of the Congress Party after 2014. It has also inverted the previous logic of electoral politics in which, even in Lok Sabha elections, voters were to a significant degree focused on evaluating the performance of their state governments. The challenge for opposition parties in this scenario is to keep the terms of political competition local – and seek unity among non-BJP parties – therefore making the terrain harder for the BJP. Where that has happened in state elections since 2014, such as in Bihar in 2015, the BJP has been upset. Some commentators have therefore suggested that the opposition should avoid falling into the trap of projecting a national leader to rival Modi ahead of the Lok Sabha elections. Not only would the projection of a national leader be difficult given the rivalries among India’s diverse regional and national opposition parties, it would also detract from the centrality of the local as a potential strong-suit of the opposition which is spread out across states. This leaves the question of what could hold a national coalition together, if not the projection of a strong leader. It remains to be seen whether an opposition alliance can craft a platform around centre-state relations. The publication of the Terms of Reference for the Fifteenth Finance Commission has prompted new inter-state discussions among opposition states – mostly in the south, but with some engagement by Punjab, Delhi and West Bengal too. This may be part of the hinge for an opportunistic arrangement between opposition parties across states that could provide a loose architecture for inter-state cooperation within which individual state interests can be articulated. However there are also conflicts of interest among states, and fierce political contests within states, that may complicate any attempt to craft a common platform among regional parties. The BJP, on the other hand, may conclude that the combination of its all-India stature, command of national resources, major asymmetries in party funding, in addition to Modi’s national appeal plus its ability to tap into local lines of identity politics and attract smaller allies will continue to serve it well – even if it didn’t quite clinch victory in Karnataka. Whether it can do enough to maintain dissension among its potential opponents within and across states to prevent a coherent national opposition from emerging from the bottom-up will be a crucial question going into the Lok Sabha elections. Louise Tillin is Senior Lecturer in Politics at King’s India Institute. She tweets @louisetillin. Image Credit: CC by Karnataka Elections/ Wikimedia Commons. Japan and the Other II – Caught between Asia and the ‘West’?